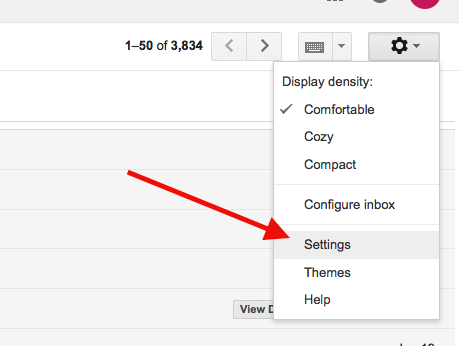 First, create a mailbox for your lead source emails. Give it a label and click Save. 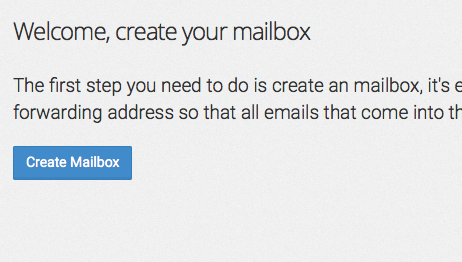 Copy the email address that is generated when you create the mailbox. This will be the email address you will want to forward your Lead Source emails to. Log into Gmail. 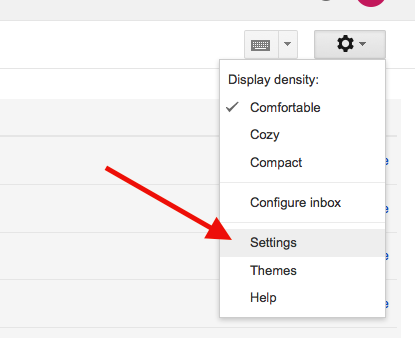 Click the gear icon on the right-hand side of the page and select Settings from the popup. Then click the Forwarding tab. Then click Add a Forwarding Address. Enter the Parsey URL that you copied from earlier, then click Next. 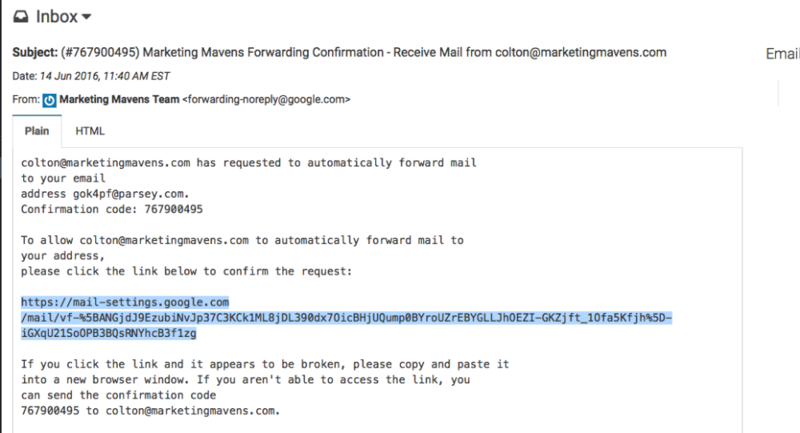 It should tell you that a confirmation email went to that email address. Now click the Mailbox icon on your lead source mailbox. Then click the confirmation email within it. Copy the confirmation URL and paste it into your browser. Then click confirm. Now go back into Gmail and go back to the settings. Now go to Filters and Block Addresses. Then click Create a New Filter. Enter your filter criteria. All of my lead source emails say "You Have a New Lead" in the subject line, so I'll type that in. Now click Create a filter with this search. 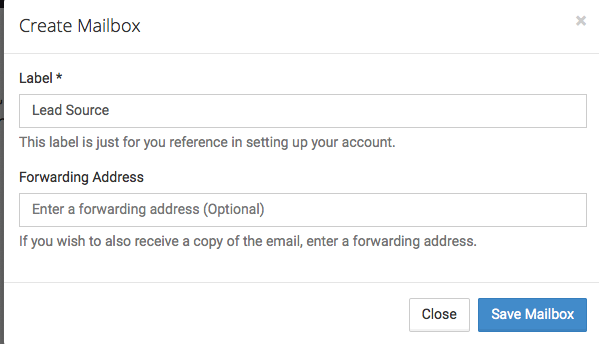 Now check the Forward it to box and choose the Parsey Email address from the drop down. 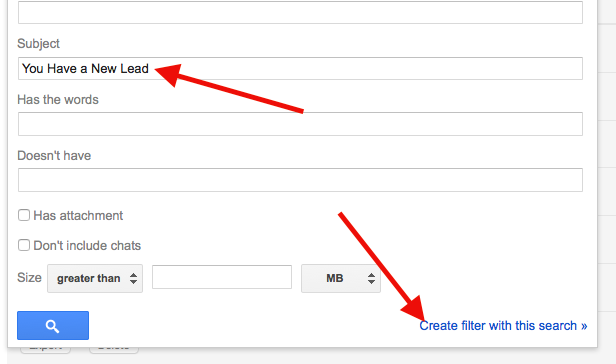 Now click Create Filter. 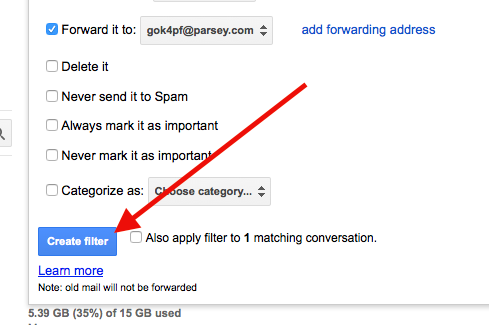 Your lead source emails should now forward to your Parsey Mailbox automatically.